P.S. 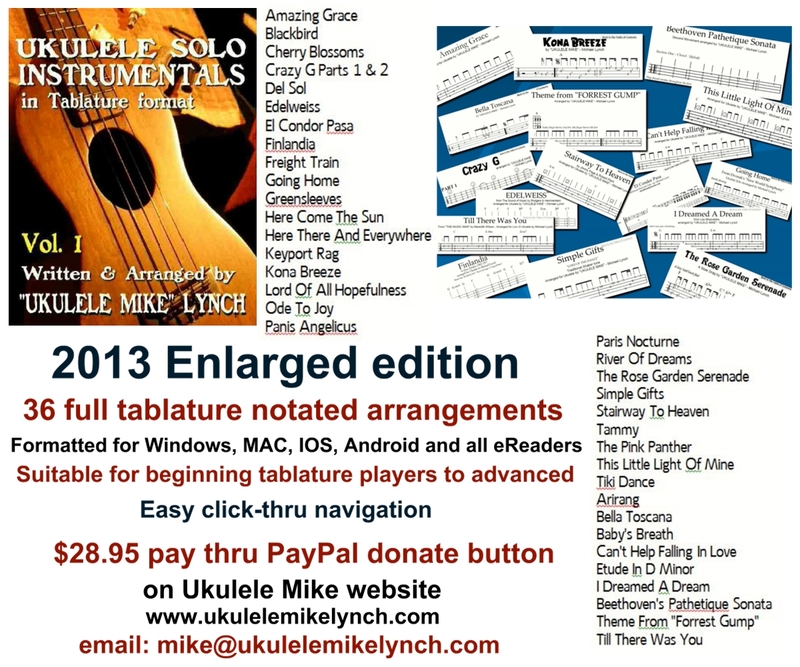 I’ve made an extraordinary effort to make these arrangements accessible to many ukulele players of all levels. Many can be learned fairly easily for even newer players. Other pieces, of course, will be something one can grow into as more skills are developed. 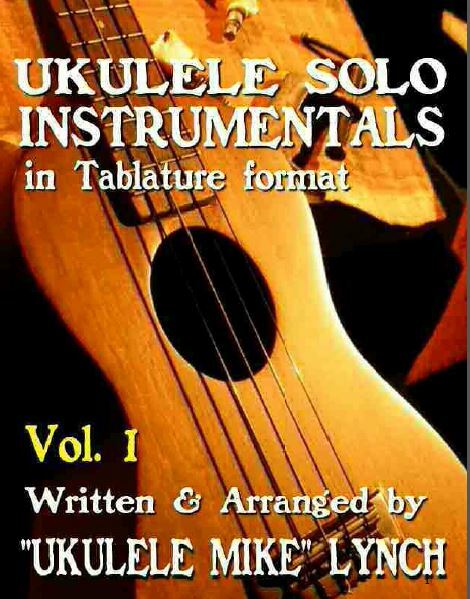 So often, I’ve found solo instrumental arrangements that are available in published form to be, for the most part, WAY beyond the abilities of average players. 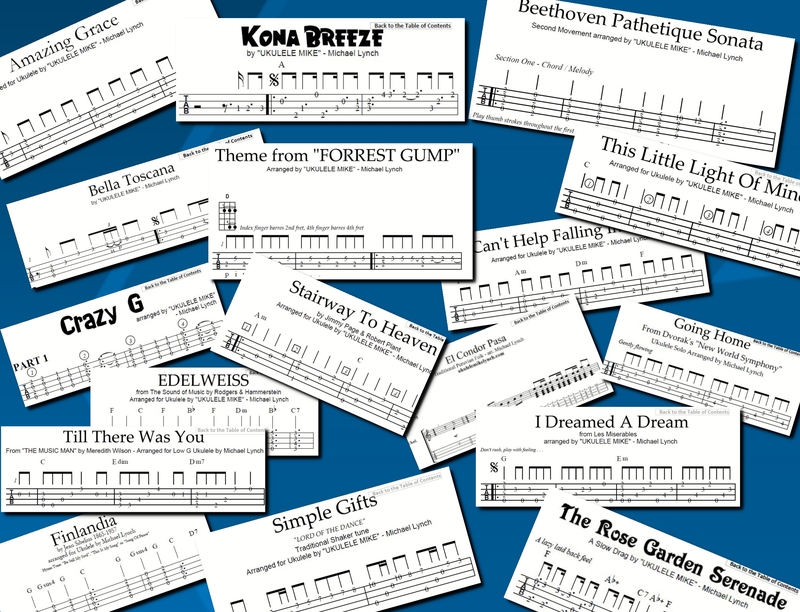 In arranging these pieces, I’ve constantly kept that in mind.